Thomas Cook Airlines is launching a new weekly flight from Norwich Airport to Dalaman, Turkey. The weekly flight, departing on Wednesdays, takes off on May 23rd on the A320 aircraft and will have 180 customers on board, all looking forward to some spring bank holiday sunshine. 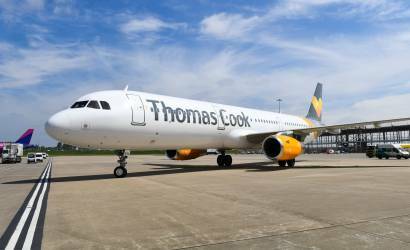 Henry Sunley, commercial director at Thomas Cook Airlines, said: “Turkey is a really popular destination for our customers and we are very pleased to add Norwich airport to our growing number of UK airports. The new flight comes as the Thomas Cook Holiday Report 2018 reveals that holidaymakers are returning to Turkey this summer with a surge in bookings compared to last year. Thomas Cook Airlines is the largest UK carrier serving Turkey and Thomas Cook’s holiday bookings to Turkey are up 84 per cent year-on-year. Richard Pace, managing director at Norwich Airport, said: “Dalaman is in the heart of Turkey’s Turquoise Coast and is making a welcome return to our schedules in 2018.